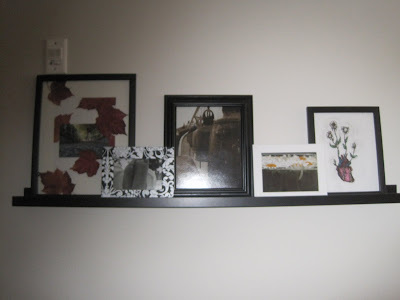 We stumbled across this find at IKEA a few months ago: the RIBBA picture ledge. It's a thin shelf with a front lip that can hold one or many pictures. The shelf will require you to make 3 holes in the wall, and is a great product for renters especially. 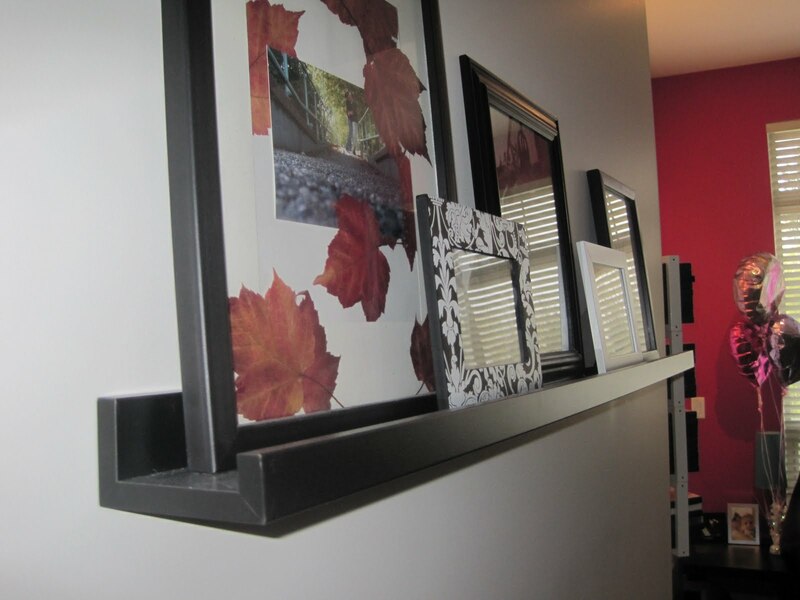 The picture ledge comes in 3 colors (white, birch, and black-brown) and 2 sizes in each color (45 1/4" and 21 5/8"). The ledge isn't exclusive to IKEA- most modern home decor stores are carrying their own variation. After plugging about 30 nail holes into our last rental unit with a photo collage (*ahem* to which I might have been the culprit of doing...), this seemed like a better option. And, for those neurotic/ artistic types out there- you can change your photo grouping as often as you want! We were originally going to hang it above our bed, but decided to plop it in the living room instead, as it would allow us to switch up the visual feel as often as we wanted to. ﻿The ledge currently resides over Hazel's toy box, and contains some of our favorite photo and art pieces that we've done. P.S. Hazel's room update is 72% completed. Our bathroom update is 34% completed. And both are looking mighty fine!